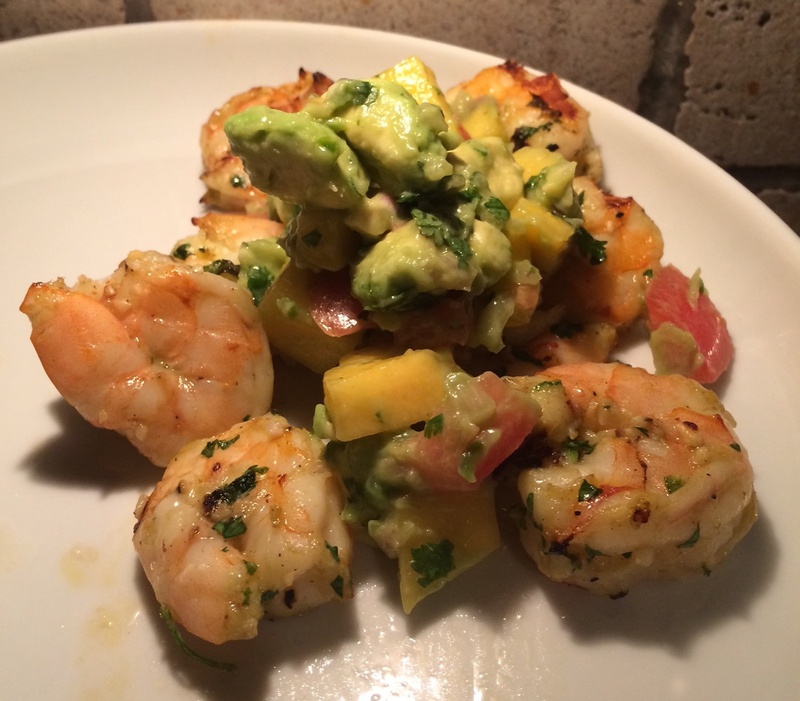 Shrimp with fresh avocado & mango salsa. This delightful was inspired by a Pinterest recipe we found from Self magazine. We kept it simple with just a few ingredients, making this an easy meal any time of year. The components for avocado & mango salsa. Combine shrimp, 1/4 cup cilantro, oil, garlic, and 1/4 tsp salt in a bowl. Toss well, then add in the juice of 1 lime. Toss again, then cover and let marinate for 1 hour. 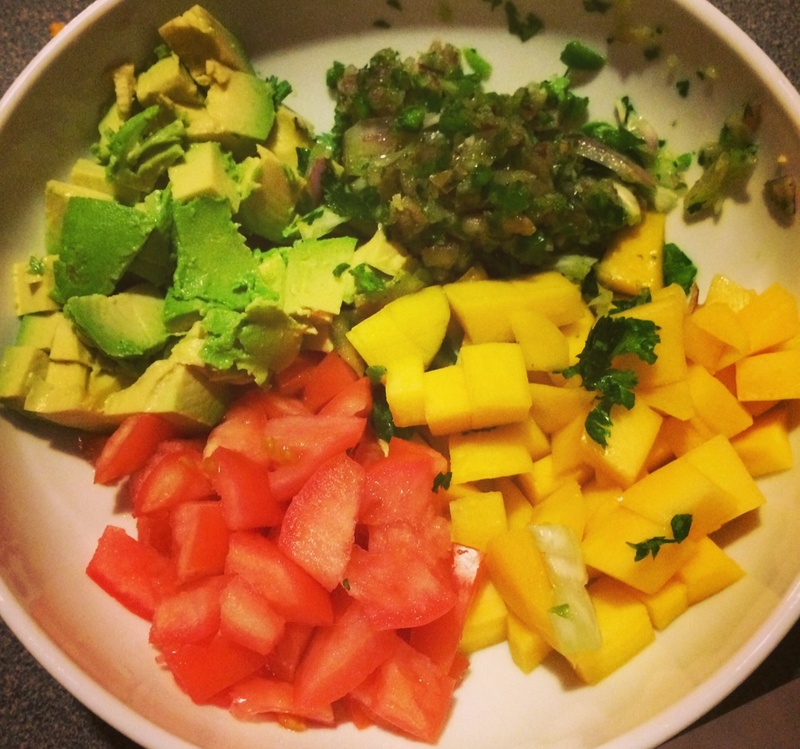 Combine remaining 1/4 cup cilantro with remaining 1/4 tsp salt, mango, avocado, tomato, onion, jalapeño and juice from lime #2 in a bowl. Skewer shrimp, and grill for 90 seconds on each side (3 minutes total) or sauté in a pan with a bit of non stick cooking spray. Serve atop your delicious, fresh salsa. This dinner is perfect for either two people or to take as leftovers for lunch (served over a bed of fresh lettuce for a tasty salad).